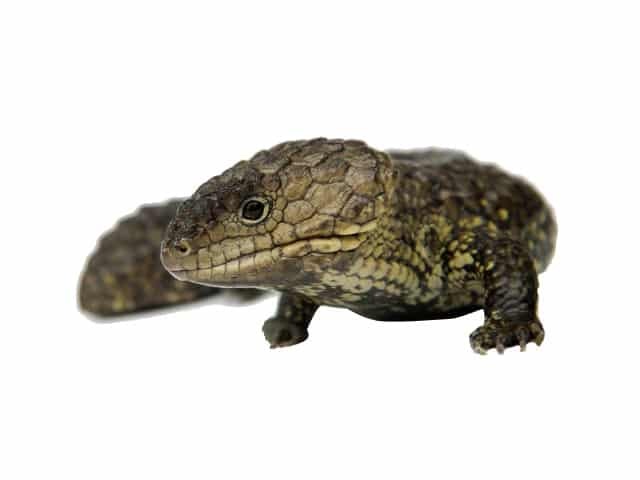 Tiliqua rugosa has a heavily armoured body and can be found in various colours, ranging from dark brown to cream. They have a very large broad and triangular head, a very short blunt tail and large rough scales and have a tongue that is blue. 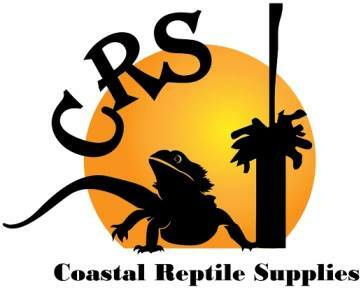 Its short tail also contains fat reserves, which the lizard lives upon during hibernation in winter. Unlike many skinks, Tiliqua rugosa do not exhibit autotomy and cannot shed their tails. Shinglebacks can be kept in both indoor and outdoor enclosures. Indoor enclosures for a pair or trio should have enough room to move and a hide for each animal hides should be large enough for more than one, bobtails do like to sleep together. Our enclosures are 1.2 meters wide, 0.6 meters deep and 0.6 meters high (4 x 2 x 2 feet) would be of a suitable size. Outdoor enclosures must be of equal size or larger than indoor, shade should be provided at all times of the day, as well as permanently covered and dry areas. Provide a hide for each animal and one large hide as a communal hide, hollow logs, a pipe or plant pot cut in half make great hides, a piece of corrugated tin is a good communal hide. Choose a substrate that is easily kept dry and ideally reduce humidity. Many substrates can be used gravel, sand, rice husks, peat, and bark; our choice is storia gravel with wood shavings. Basking temperatures for Shinglebacks should be in the range of 35-45 °C (95-115 °F), with a thermal gradient of 24-34 °C (75-93 °F) placing heat source to one end of the enclosure creates gradient. We use basking light 75w and UVB 10 globe to meet their requirements, a large flat rock underneath the basking light makes an ideal basking spot. Outdoor enclosures must be in sunny area, with ample shade provided. We do not leave water in enclosure, we supply shallow dish of water for half day once a fortnight. It is essential that enclosures are dry with as little humidity as possible, humidity and bobtails do not go together. Shinglebacks are omnivorous and eat a wide variety of foods, being diurnal they should be fed during the day. A healthy diet consists of fresh and frozen vegetables and fruit being a large part of their diet; apple, banana, cabbage, carrot, cauliflower, celery tops, corn, grapes, kiwi fruit, melon, peaches, pears, peas, spinach, strawberries and zucchini. Canned dog or cat food (non fish variety), earthworms, eggs (raw or cooked, mealworms and pinkie mice, bobtails love snails and slugs and provide a good variation to their diet, just make sure there are no snail baits where you collect them. Dusting food with calcium powder is essential for good health. Shinglebacks make great interactive pets, become quite docile and good for children. They are long lived 12-15 yrs, a very hardy and easy species to keep. It is important when handling that their whole body is supported, one way is to lay them on your arm. We clean our enclosures weekly with vinegar and warm water which is natural and non-toxic so it will not harm your animals. For monthly cleans we replace substrate and clean with a mix of 3 cups hot water, 3 tablespoons baking soda and 3 tablespoons lemon juice. The enzymes in lemon juice will break down the food and droppings and act as a natural disinfectant. Faecal, urine wastes and uneaten food must be removed daily. Shedding of the Stratum corneum (heavily keratinized outer layer) is a natural occurrence as a result of growth and environmental damage. The color of Shinglebacks dulls off before shedding, the skin will come off in one piece. After shedding there may be some shed skin that remains stuck on the toes and tail, this can cut off circulation to the toes causing them to drop off gently remove it with tweezers. Poor husbandry is often reflected in the condition of animals. Rostral abrasions (snout rubbing) caused by overcrowding or improperly housed lizards. Dysecdysis (incomplete sloughing of skin) can occur from incorrect humidity, lack of abrasive surface to assist shedding, respiratory infections caused by high humidity a major cause of death in Shinglebacks. These are reflective of poor keeping and can be avoided by proper care and hygiene.